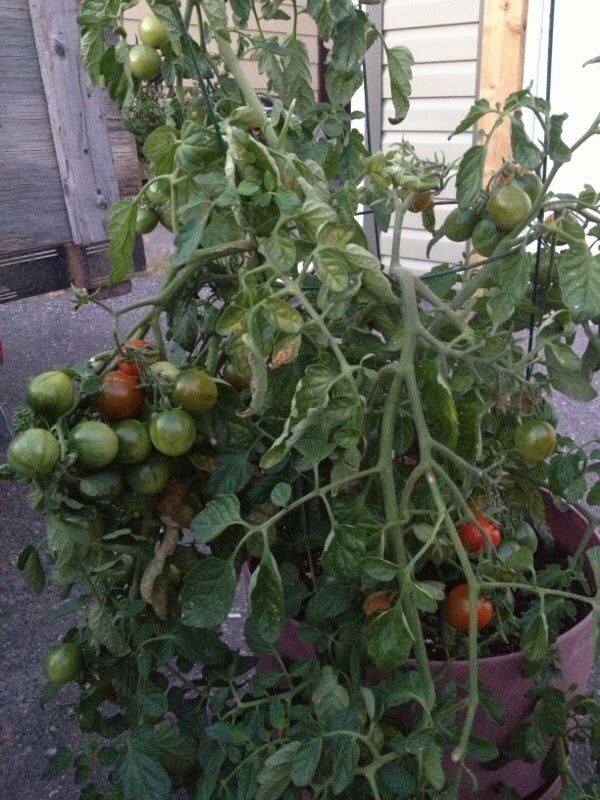 It is possible to grow tomatoes in Yellowknife. It does require the right place and support from the recent sunny warm summers.. 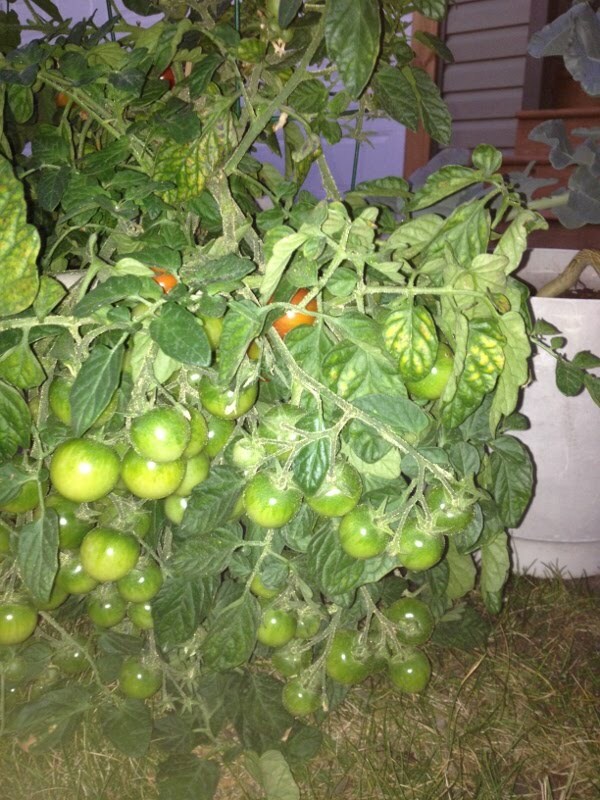 Tomatoes require quite a bit of water and if placed in a windy location will dry out very quickly, probably causing the plant stress that will reduce productivity. The ideal temperature is 30 degrees Celsius. You can achieve this on the southern facing location near a good windbreak such as a building or in a greenhouse. You'll need some temperature controls on the greenhouse as in full sun it'll get quite hot inside otherwise. Short season varieties work best. We've had consistent success with the ones listed below. Red Alert is still pretty much at the top of the list. With Tumbler, Bradley and Latah pretty much as early and very productive. Northern Delight not quite as early, but a really nice tasting, juicy tomato. It's a favourite! Applause gives a really big tomato, and Sunstart and Sweet Cluster have done really well. All of these are a bit later than the ones above. Taxi is a nice mid-size yellow tomato that does well, Golden Cherry and Sun Gold are excellent tasting and productive golden cherry tomatoes. Although you may occasionally get some production from a late season variety such as Beefsteak if you have a perfect location and the right summer weather, the input effort will not justify the production. You'll need to start the seeds indoors in early to mid-April. moving them to larger containers (yogurt and milk cartons work well) after a few weeks and finally outdoors in early June. One technique is to use 20 litre pails for the final transplanting placed in a sunny wind sheltered spot. Drill some holes in the bottom to allow for drainage. Because you are starting them inside you need to gradually introduce them to the outdoors. If you just bring the out and drop them in the sun one day they will likely curl up and die in a day or so. Using a pail allows you to gradually introduce them to the outdoors and to bring them in if a cold night is forecast. 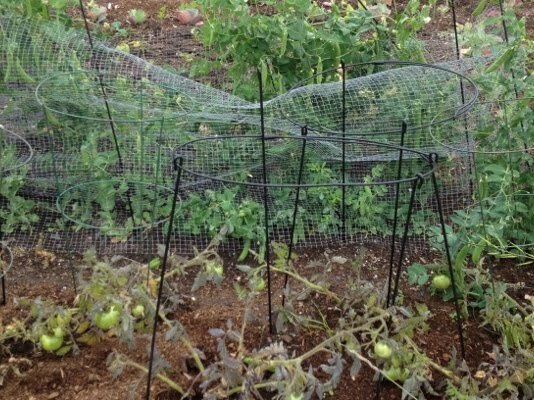 Using these techniques and recommended varieties you can get dozens of delicious small tomatoes per plant from mid-July to late Aug or even later if you bring them inside before the frost gets them. Mid-August, in a flower pot, started indoors, on pavement sheltered on 3 sides. Tumbler, Mid-August, started indoors, next to a building, watered almost daily.